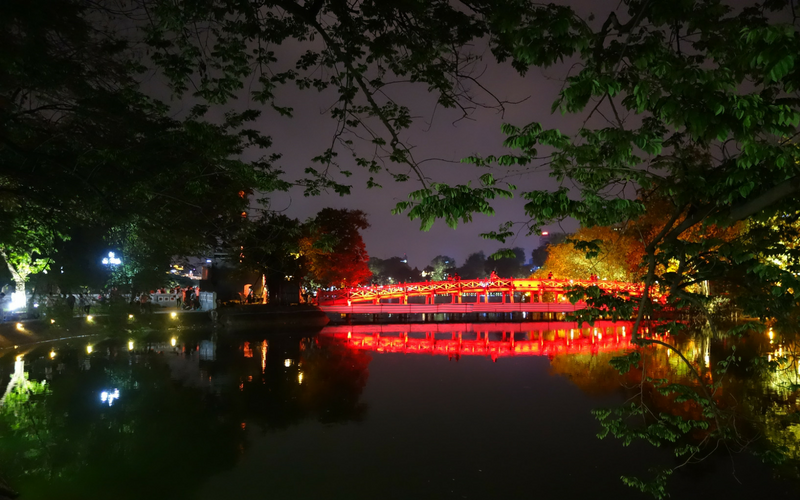 If you want to enjoy a relaxing yet fun-filled few days on va-cay, then Vietnam’s capital city of Hanoi is a great getaway destination. I’ll be honest, we didn’t really do anything cultural with the exception of a food tour, but it’s exactly what we needed. Eating, walking, drinking and then eating some more! And when you’re in one of the top places in the world for street food, that’s exactly what you should be doing! 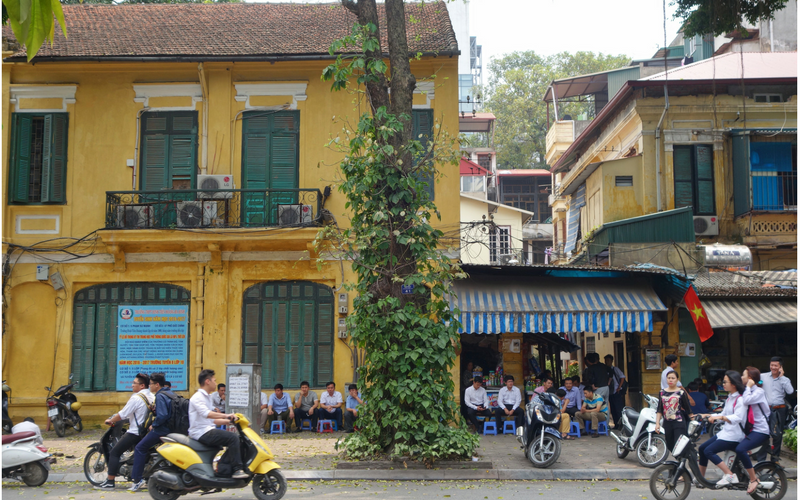 We enjoyed 3 days, 4 nights in this historic town, wandering the maze of streets within Hanoi’s Old Quarter. 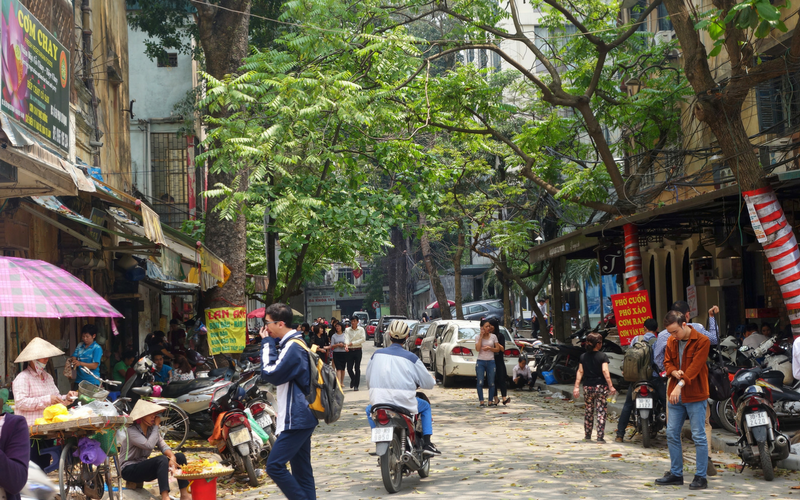 There’s a great mix of old and new which is evident as you pound the pavement, from the French colonial architecture to the Buddhist and Daoist temples that dot the streets. I feel like Hanoi offers up organised chaos. Even though you take your life into your own hands every time you step out onto the road, it all seems to work and there’s continuous flow. As you walk through the Old Quarter get ready to embrace some serious ‘honking’ as motorbikes whizz by continually. Also, make sure your ducking reflex is switched on as hawkers haphazardly swing their shoulder poles filled with local produce. 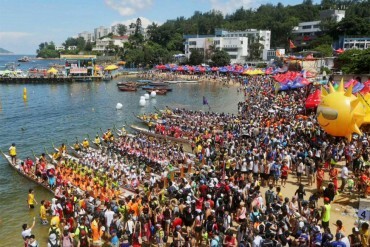 On the weekends the boisterous crowds grow as certain roads around the lake are blocked off to traffic and the streets take on a carnival vibe. There are souvenir street stalls, groups of dancers, tug-of-war battles and double-dutch skipping competitions. 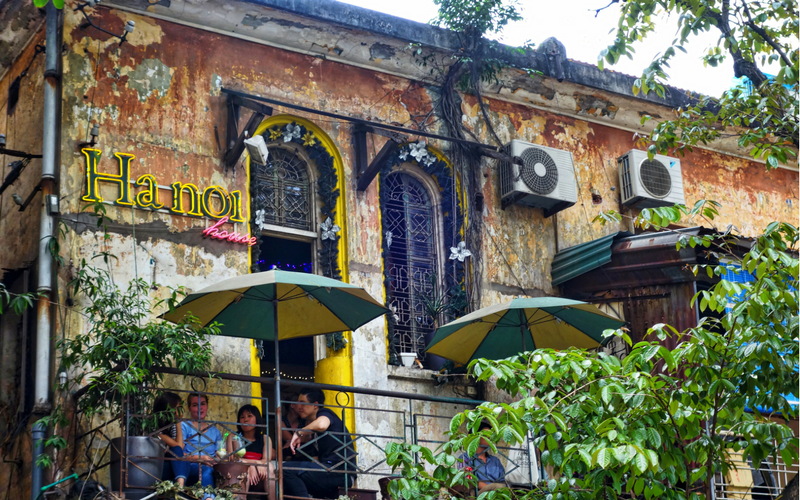 If you’re into people watching, pull up a small stool or climb the stairs to a balcony and sip fine Vietnamese coffee whilst you enjoy the sights, smells and sounds of the Old City. The Old Quarter is a great place to soak up the local vibe and simply get lost! 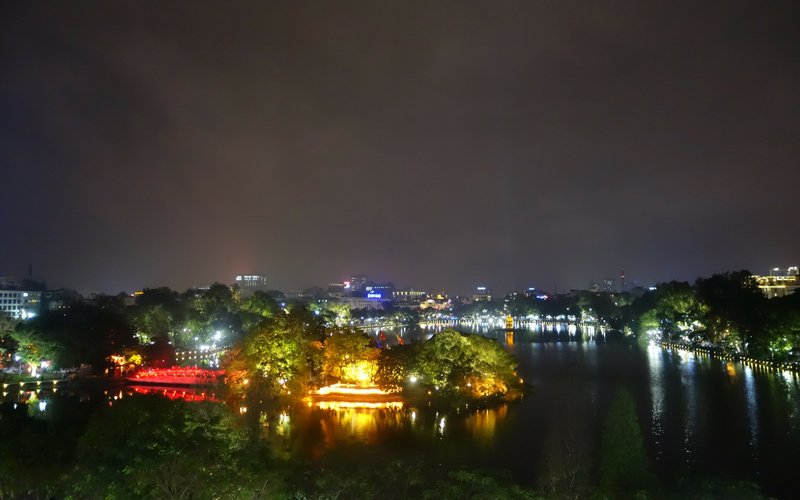 We also spent a lot of time just chilling around Hanoi’s famous and quite picturesque Hoan Kiem Lake. 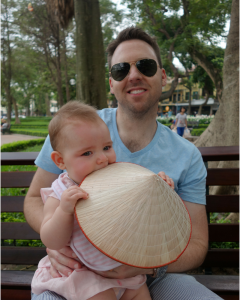 We enjoyed yummy Banh Mi whilst sitting on a park bench, taking in the greenery and letting the locals baby sit Xanthe! (The locals LOVE babies!). At the north end of the lake, where it seems to be the most lively, you can cross the ‘Red Bridge of the Rising Sun’ to reach the temple and visit the Ncog Son Pagoda. The lake looks even better at night, with beautiful lights hanging from the trees and the red bridge is illuminated for all to admire. This was the perfect hotel for us and I highly recommend it. It’s in a fantastic location, situated in Hanoi’s Old Quarter and a stone’s throw away from the Opera House and Hoan Kiem Lake. At Hotel del Opera you feel like you’re amongst the action without being directly in the centre. You can easily walk everywhere within the Old Quarter as well as retreat back to your hotel for a bit of R & R when you’re feeling weary. The hotel was also great accommodating our baby as they provided a lovely cot with linen, a babies bath and a kind touch was the inclusion of baby products such as bath wash, body oil and powder… and a handmade chocolate bunny for Easter. We ate here on our first night and enjoyed a beautiful meal. We got excited and ordered waaaayyy too much. The Bun Cha is a dish that you must order. We dined here as part of our food tour and every dish was fantastic, including the Vietnamese pork pancake, (usually made with prawn), wrapped in a wafer thin rice paper roll. When dipped in a fragrant dipping sauce, this morsel of goodness gets even better! If you’d like to learn how to create these delicious meals yourself, this restaurant also has it’s own cooking school. We had our last dinner at this lovely restaurant and if you want superb views of the lake at night, this is the spot. The staff here were also very kind and accommodating with Xanthe (which is great when you live in Hong Kong and getting around with a pram isn’t the easiest thing in the world!). 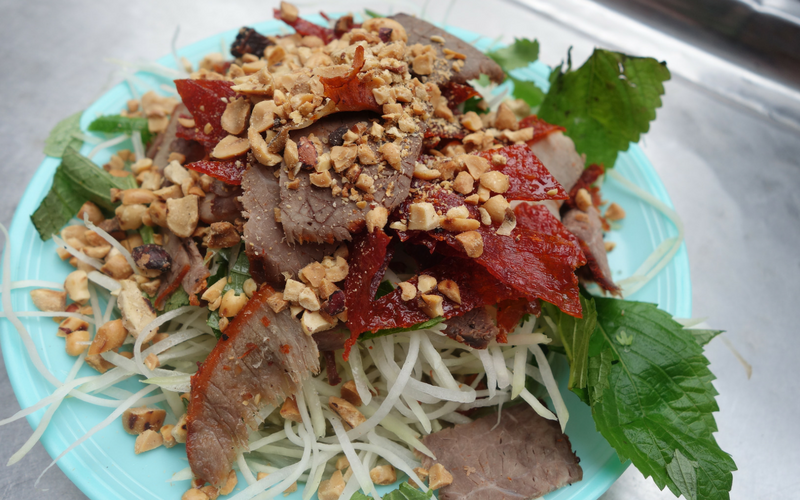 If you’re keen to learn more about Vietnamese cuisine and get a bit more adventurous with your tasting selection, you should definitely do a food tour! 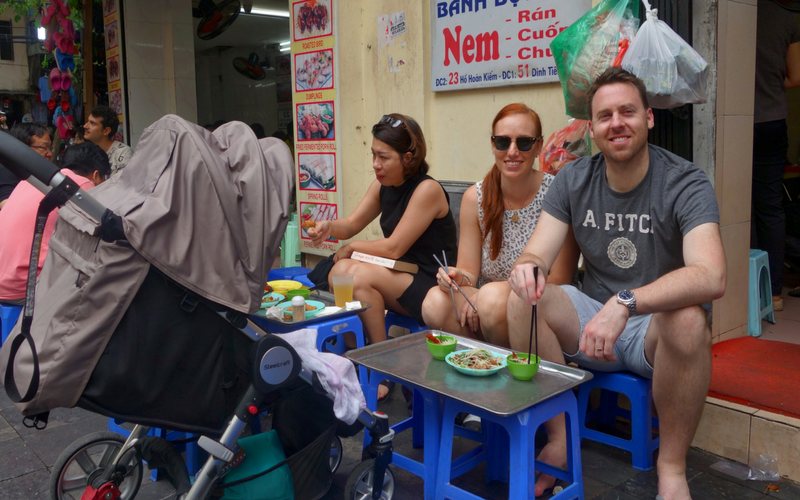 Based on recommendations from friends we booked a private tour, with Hanoi Food Tasting Tours so we could experience the best local cuisine. We were lucky enough to have the experienced Ha as our guide, who’s a self-proclaimed foodie. We enjoyed a 3 hour walking lunch tour, at a relaxed pace, with multiple stops and ample dishes to try. 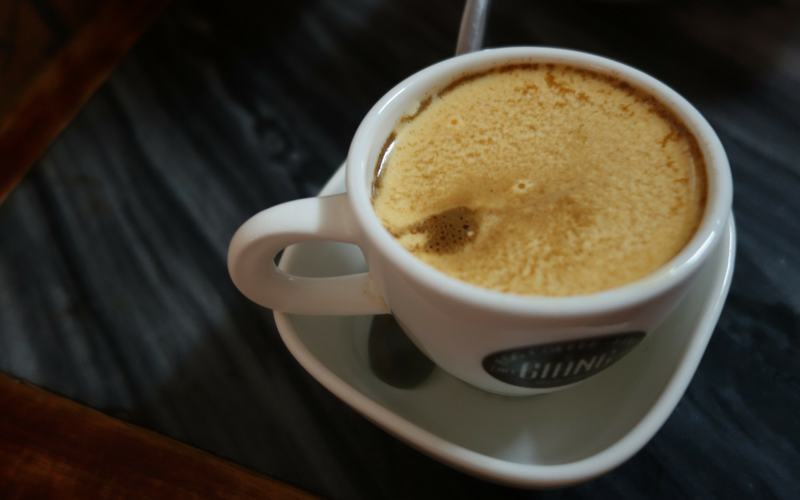 Every dish from the Vietnamese papaya salad (with soy sauce not fish sauce), from the Bun Cha, the extra crunchy Banh Mi to the final delight of a cup of famous egg coffee was well worth it. 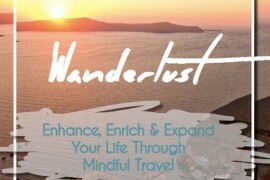 You can do small group tours or private tours and they can be customised to your needs and food cravings. We decided to organise a private tour as we had our baby with us. 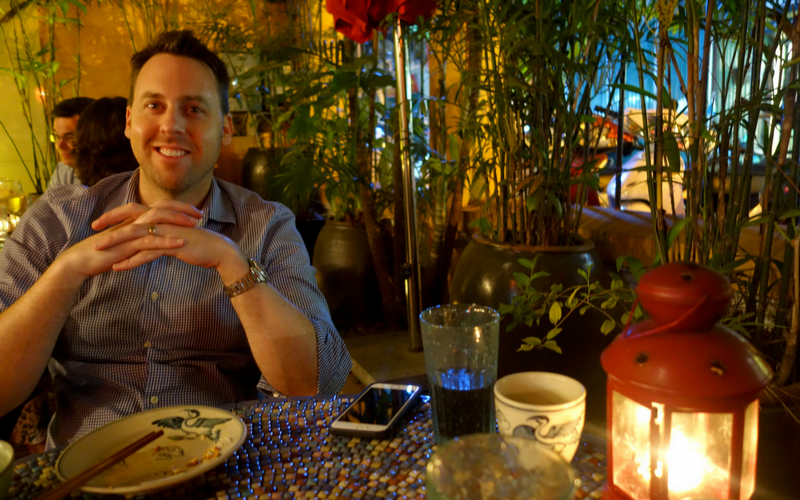 Ha was fabulous – he ensured everywhere we went was pram friendly, took into consideration my husband’s seafood allergy and showed us parts of the city that we were yet to explore and dishes we were yet to try. 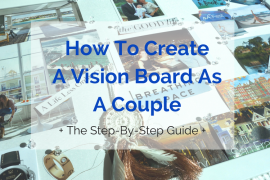 The bonus was that he loved Xanthe and entertained her whilst we ate – winning! 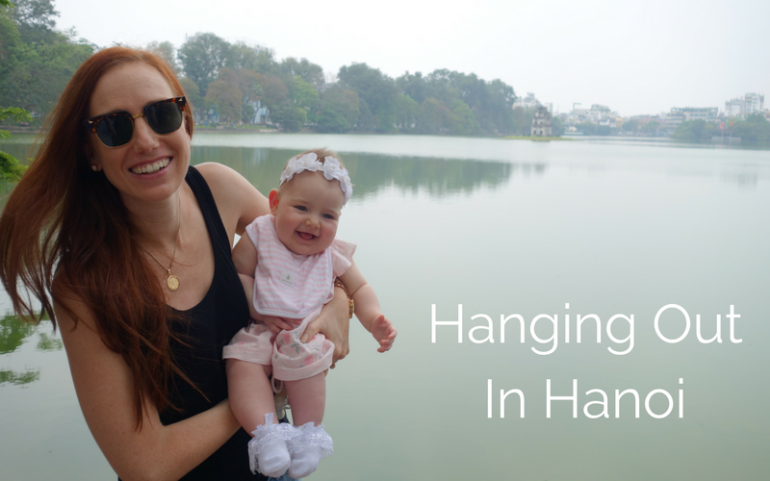 I can definitely recommend Hanoi as a long weekend getaway, with or without a baby!